Just how far out would you have to go to really escape the sight of Golden Arches? 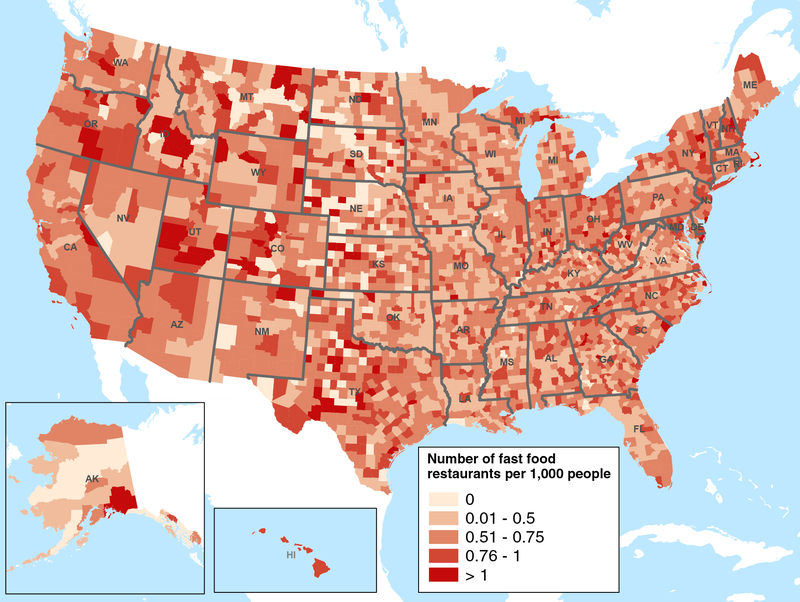 This per capita distribution map of fast food restaurants across the country comes from the USDA’s newly-updated Food Environment Atlas. In some ways, this map is a reflection of population—it’s not particularly surprising that Alaska’s Yukon trail is not the site of a frenzied Arby’s/Five Guys turf war or that the entire state of Hawaii has plenty of tourist-aimed joints.